From access to the biggest music fests, movies and activities to the best beach parties and basketball events of the year, wonderful things are lined up for all Globe customers and entertainment fans this summer. 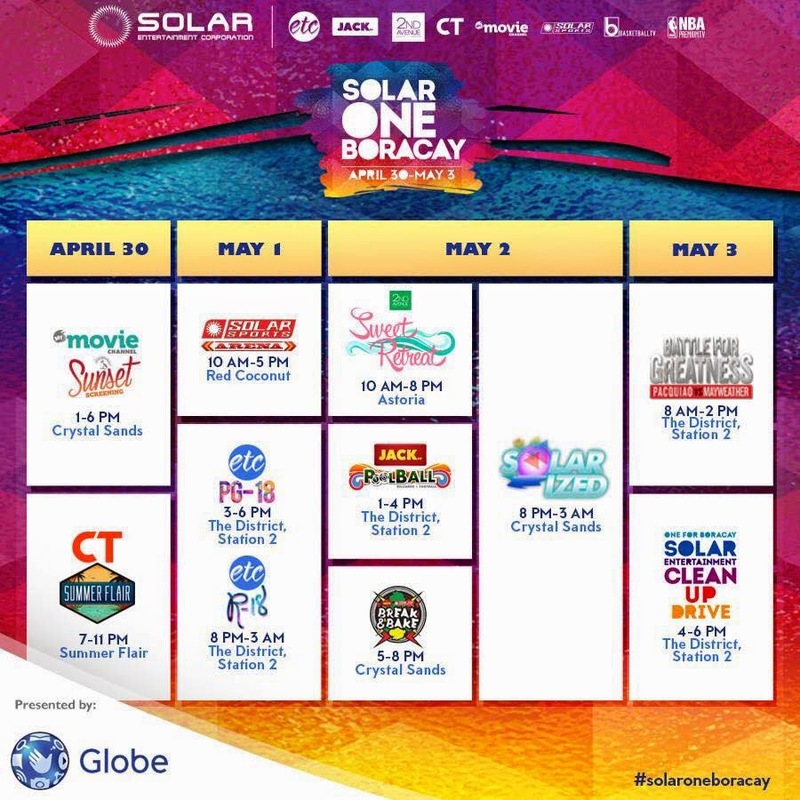 This season, the leading telecommunications company and purveyor of digital lifestyle Globe Telecom is taking over summer! “This summer, we’re giving our customers an experience like no other. Not only do they get access to the content they love with our GoSURF offers, they also get exclusive passes to summer’s hottest events that suit their passions and interests – from music, sports, movies and a whole lot more. Just register to your favorite Globe promo and get the chance to be part of this season’s wonderful events, and together, let’s take over summer with Globe”, shares Dan Horan, Globe Telecom Senior Advisor for Consumer Business. Looking for the best Labor Day beach experience? 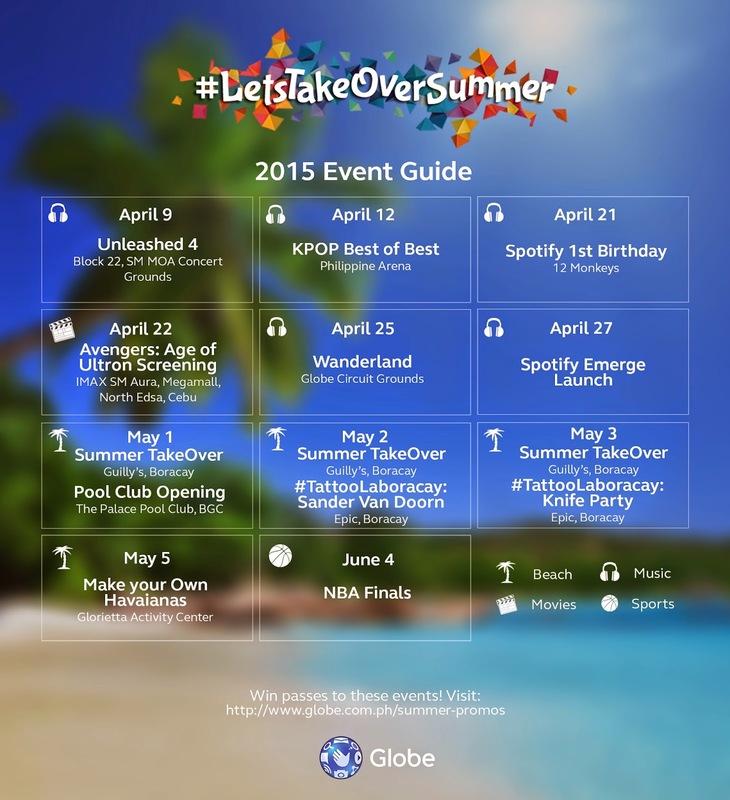 Globe Telecom is set to own Boracay again this season from May 1 – 3, 2015 with a number of heart- pumping music experiences for summer partyphiles. 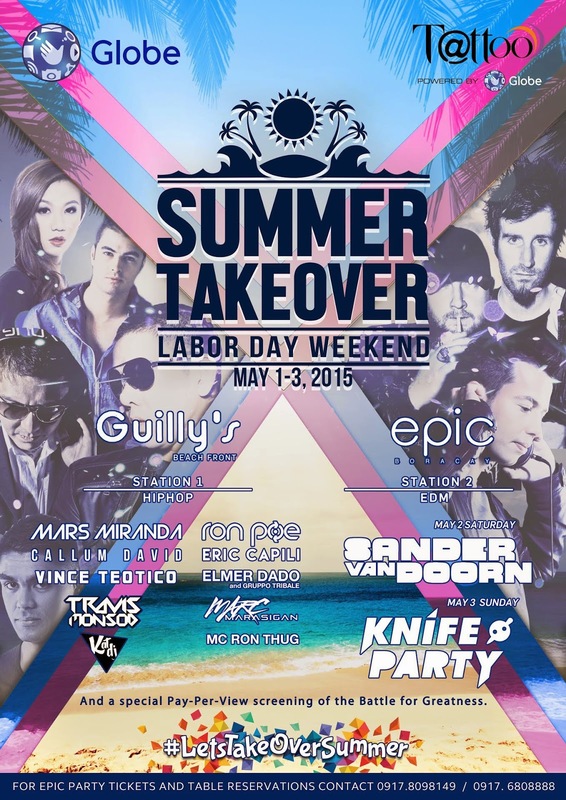 Enjoy the best summer take-over sounds with the hottest DJs from 4 pm to sundown at Guilly’s Bar, Station 1. On May 2-3 at Epic Bar Station 2, party all night with Globe broadband brand Tattoo and enjoy the most heart-thumping beats of international artists Sander Van Doorn and Knife Party. With over 200 partner merchants powered with Globe Charge all over Boracay, GCash customers can go completely cashless when they purchase items or even book hotels around the island. They can even get awesome discounts when they use their GCash MasterCard! This season, getting the best connection is a must for you to be able to share your most wonderful summer moments with all your friends and family. Through the latest GoSURF offers from Globe Postpaid, Prepaid, and Tattoo, and exclusive treats and deals from GCash, Globe equips you with everything you need to take over summer this 2015. Share your summer experience and use the hashtag #LetsTakeOverSummer! This list is great! Thanks for sharing!